British Prime Minister Theresa May expelled 23 Russian diplomats today, blaming Moscow for the poisoning of a former Russian spy and sharply escalating the dispute between the two countries, the New York Times reported today. The two countries have engaged in an worsening clash in recent days, with Britain widening an investigation into the incident and courting friends and allies to increase pressure on Russia, while Moscow has threatened to retaliate over any punitive action. She said she had agreed with Britain’s National Security Council to suspend all high-level contacts between her country and Russia, and to expel 23 Russian diplomats, who were given one week to leave. She described it as the biggest expulsion in more than 30 years. 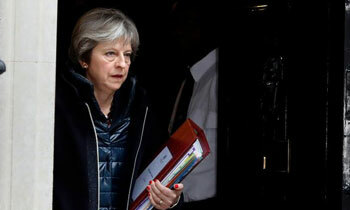 The prime minister also said the government had agreed on new powers to crack down on the activities of foreign intelligence agents in Britain, that there was no place for “serious criminals and corrupt elites” in the country, and that an invitation for Foreign Minister Sergei V. Lavrov of Russia to visit had been withdrawn.